What’s Piccadilly Circus without the iconic illuminated adverts? Or The Ritz without its name in glitzy lights? 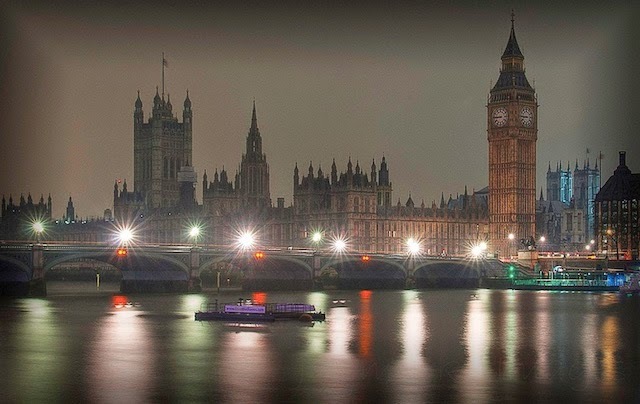 This weekend is your chance to find out as London landmarks switch off their lights for WWF’s Earth Hour. Among those signed up to dim the lights for an hour on Saturday night are the BT Tower, Harrods, the Royal Naval College, Tower Bridge, Southwark Cathedral, Mansion House, Barbican, the Gherkin, St Paul’s, the Royal Opera House. Why, we hear you ask? WWF Earth Hour is an annual event which takes place across the globe. The public are asked to switch off the lights for an hour to show their dedication to caring for the planet. Afraid of the dark? Not to worry — as you can see from our photo gallery from last year, it’s only non-essential lights that get switched off — and in a city as busy as London, that means that plenty of streetlights remain on. But it’ll be quite a sight to look to the London skyline and not see the likes of the Gherkin, the Heron Tower and the BT Tower stealing the limelight. Short of taking your camera out and getting some unusual London snaps, what can you do during the hour? Several restaurants are offering the chance to dine by candlelight, and in advance of the weekend, South Bank London holds a Where’s Panda? competition (you may have seen one or two of the monogrammed mammals in the area already). Find landmarks and restaurants near you that are taking part on this interactive map. Down on Southbank, We’re also promised a special surprise from OXO Tower. WWF Earth Hour 2015 takes place on Saturday 28 March, 8.30pm-9.30pm. Taking part? Sign up here to show your support. Pssst…don’t forget — the clocks go forward at 1am on Sunday, just a few hours after Earth Hour.